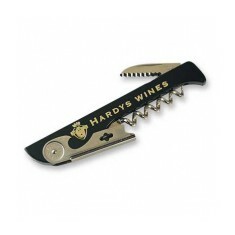 Mojo Promotions has a wide selection of personalised Corkscrews all of which can be custom printed or engraved with your logo. 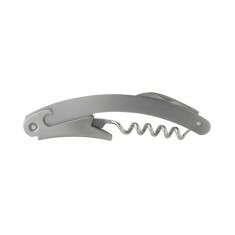 Our promotional corkscrews include the ever popular Waiter’s Friend as well as a selection of superb executive gift sets. Customised cork screws are both practical and an excellent gift idea. 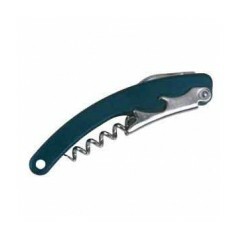 Branded corkscrews are excellent giveaways as presents for any of the wine lovers among your clients and is also handy for any catering companies or restaurants. 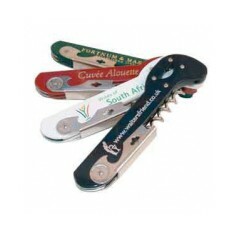 Our range of custom printed corkscrews includes everything from just the corkscrew personalised with your design up to high quality gift sets that you can personalised with your branding. Simple and elegant, our personalised Waiters Friend is a classic and simple corkscrew opener that can be laser engraved with your design. 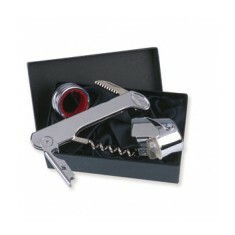 Being an official Waiters Friend corkscrew, this one comes supplied in a Waiters Friend gift box as standard. 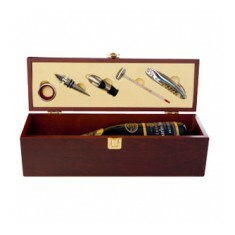 If you’re looking for a more premium option, our customised Wine Lover’s Gift Set is a 3 piece set with cork lifter, drip collar and champagne stopper all supplied in a Waiters Friend gift box as standard. Browse through our range and if you have any questions, get in touch with our sales team who will be more than happy to help. 3 piece item. Supplied in presentation box. Customised on the body. 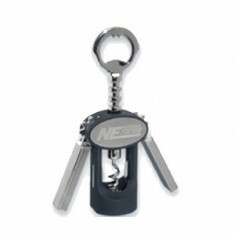 Look like a professional with our custom printed Double Lever Corkscrew. This ..
Self sharpening blade & bottle cap opener. 5 colour choices. Branded to the handle. 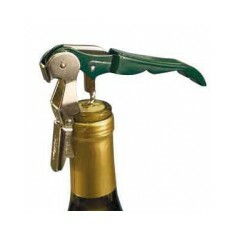 The Classic Pulltap’s corkscrew with double lever that h.. If you're looking to open a bottle in style, our custom printed Leonardo Corks.. 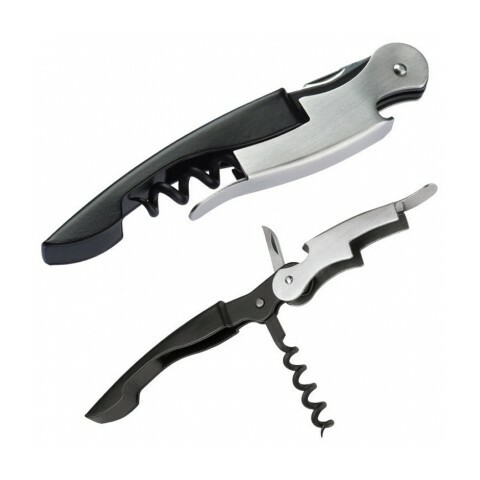 The perfect partner for any bar tender or waiter, our custom printed Pirouette..
3 piece set comprising genuine waiter's friend chrome cork..
Metal/stainless steel corkscrew and bottle opener with bla.. Stainless steel material. Foil cutter & bottle opener. Custom printed or engraved as standard.